The State of Maryland saw great changes in gambling legislation today, as they voted on various matters, such as allowing casino dealers to hit on Soft 17, as well as Rocky Gap Casino and Resort proposal of adding 54 slot machines that will placed outdoors. As per the obvious, the gambling regulators voted yes on both regards. This is a big step for casinos in Maryland, especially for Rocky Gap. With the approved proposal, they will now be able to add 54 new machines to their overall repertoire, which they will use in the best possible way. As per the State laws, there is no smoking allowed inside of any casino, so what did this particular casino do? They found a great solution for those patrons that want to smoke and gamble at the same time. Rocky Gap will be placing these slots outdoors, where they are preparing a special area outside of the venue so that their patrons can sit comfortably and smoke while they play. This has actually prompted the state regulators to question to ban on indoor smoking in casinos, and have mentioned the idea of abolishing it completely. 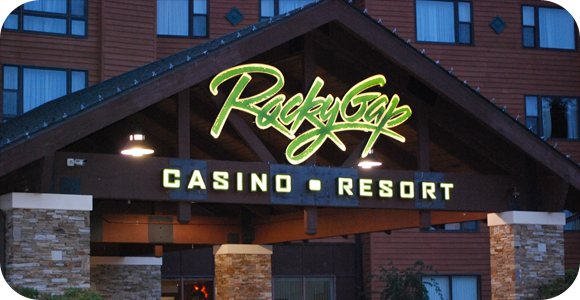 All we know is that Rocky Gap is in a prime location, surrounded by beautiful landscape, so why not enjoy the outdoors as you win the jackpot on any of their new slot machines.